As the temperatures rise, homes get ready for the annual spring cleaning. Washing, dusting, cleaning takes place all around the house to make everything fresh after the long, stagnant winter. While I may want to open the windows to let in the bloom of spring flowers, the spring pollen defeats my hours of cleaning. What is a solution to making the house smell fresh, Renuzit Sensitive Scents. 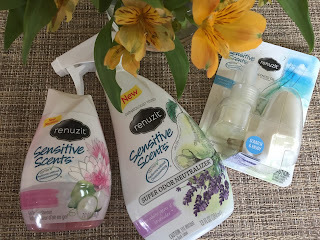 Renuzit Sensitive Scents is a line of scent refreshers that have been designed to ensure effective, long-lasting, and pleasing scents. These products offer subtle fragrance without overpowering your senses. The aromas bring a sense of welcoming and relaxation. Available in three aromas, Pure Water Blossom & Cucumber, Pure Ocean Breeze, and Pure White Pear & Lavender, these three scents offer a balance of bright, sweet and refreshing. The Pure Water Blossom & Cucumber bring bright, fresh notes to the room. The Pure Ocean Breeze brings the crispness that you expect from walking the shore. The Pure White Pear & Lavender offers a subtle, relaxing tone to wash away potential stresses. As with personal scent preferences, the Renuzit Sensitive Scents are available in three experiences. The scents are available in a trigger spray, which can target the scent in specific areas. For example, the spray is a lovely way to introduce the lavender scent to a relaxing bedroom. The adjustable cones are perfect for small spaces, like bathrooms. With a four week life, the bathroom smells are a distance memory. The universal scented oils are best for larger open areas. Plug one into the family room, playroom or entry way to make the whole area feel more welcoming. 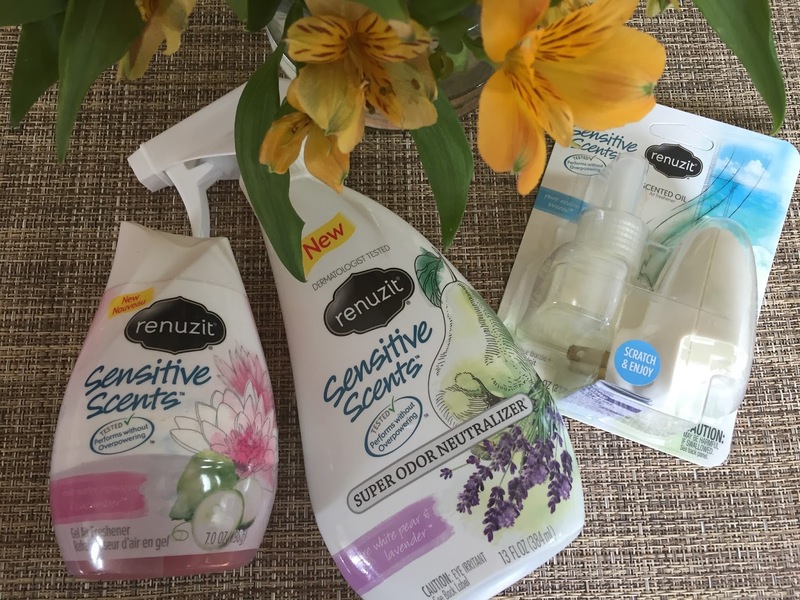 The Renuzit Sensitive Scents line is available at a variety of retailers. Price varies on locations. For more information and availablity, please visit www.renuzit.com/sensitive-scents.